Sheila S. Signorini, age 61 of Washington, PA passed away in her home after a battle of cancer on Sunday, December 2, 2018. Born on February 18, 1957, she was the daughter of the late Georgia and Albert Alexander. Beloved wife to David Signorini for 42 years. Loving mother to Melissa Signorini and Tiffany Signorini. Cherished grandmother to Syrina and Madeylnn Evans. She was also blessed with many nieces and nephews. Sheila was preceded in death by her siblings Diana Alexander, Ronald Alexander, and Debra Ward. Sheila enjoyed spending time with her family, especially her grandchildren. She will be dearly missed. 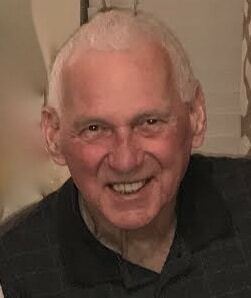 Family and friends are welcome on Wednesday, December 5, 2018 from 3 PM – 8 PM at Pittsburgh Cremation and Funeral Care, 3287 Washington Road, McMurray, PA 15317, (724) 260-5546. A service will be held on Thursday, December 6, 2018 at 10 AM at the funeral home. I am so sorry. I did not know Sheila was sick. I am here for you Melissa and Tiffany if you need anything. My Thoughts and prayers are with all of you. God Bless you all. I’m sorry for your loss. Prayers for all of you. Tiffany, I am so saddened by this heartwrenching news. My thoughts and prayers are with you and your family. I have prayed for your Mother since knowing of her illness. I am so extremely sorry for your loss. I am here for you if you need me. Sorry for your families loss. Prays and good thoughts send your way. Love you all. You have my deepest sympathy. Dottie Morris formerly worked at Wal Mart Pharmacy. Our thoughts and prayers are with you David and your family! Sorry for your loss. I worked with and she was a very person.